The River Spey under Craigellachie Bridge, built by the US Engineer Thomas Telford in the early 19th Century. This bridge is now a footbridge, but used to carryroad traffic until the 1970s. The turn at the right hand edge of the bridge here is a sharp right-angle at the base of the cliff which buses used to have to do a 3-point-turn around. The new bridge is just behind us, but this is my favourite. 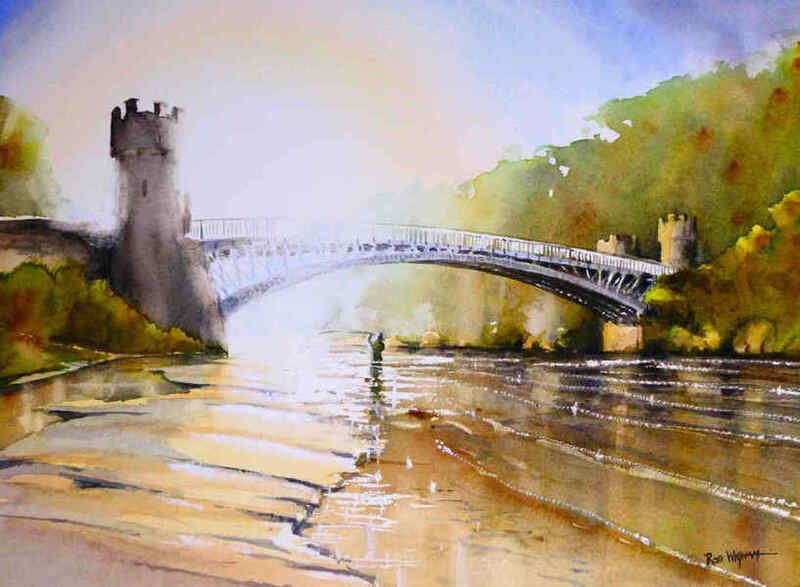 The light is the focal point in this study of evening light around the bridge! Prints available at 25 x 18 cm image size, £17, mounted £20.